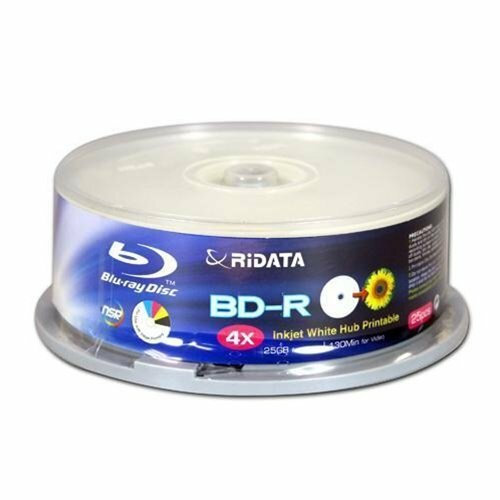 RiDATA Blu-Ray DVDs (BD-R) features 25GB of storage capacity - five times the storage capacity of a normal DVD - holding up to 4.5 hours of HD video and 11.5 hours of SD video. The next generation of optical recording media will change the way you store full HD recording video & movies! High Speed - Up to 4X writing speed.